Comfortable and secure Powerlift 350 is the answer to your resident transport needs. Reliant's ergonomic styling and easy maneuverability make it an ideal product for everyday resident handling. With its numerous safety features, the 350 Stand-Up lift ensures caregiver security and resident peace of mind. Ideal for use with weight-bearing or residents as well as those needing rehabilitation support, the Stand-Up lift will be a valuable addition to your safety management system. Adjustable pivoting leg support features a soft pad with lateral contour that secures legs in three positions for comfort at any height- Wide non-slip footplate provides stable base for transfer. Under-bed clearance of 4.5" allows accessibility to most home, hospital and home care bed styles. Features include fast, simple sling attachment that protects against accidental disengagement; wide push handle; good access for clothing removal; and comfortable slings with extended back support that prevents pressure in the axilla area. Multifunction slings allow for quick toileting, stand assist or full-support seated transfer. Adjustable leg strap option secures leg against knee pad for optimum positioning on footplate. Limited warranty includes three years on lift, one year on motor. Put the base on the floor. NOTE: Make sure all four casters make contact with the floor. NOTE: The mast assembly may be removed from the base for storage or transporting. The mast assembly MUST be properly secured to the base assembly before use. 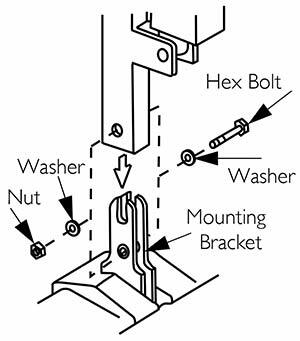 Remove the hex bolt, washers and nut that are located in the U‐shape cut‐out of the base. Lift the mast to an upright position. Lower the mast onto the mounting bracket. Attach the mast to the base with the hex bolt, washers and nut. Tighten securely. Remove the shifter handle from the packaging carton. 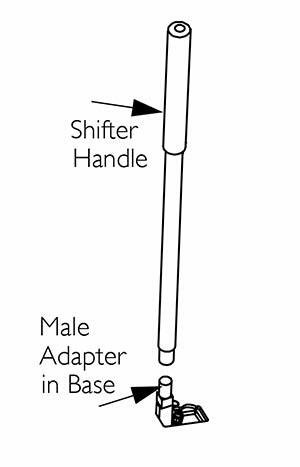 Thread the shifter handle onto the male adapter on the base. 1. Place the battery charger mounting bracket on the wall at the desired position. 4. 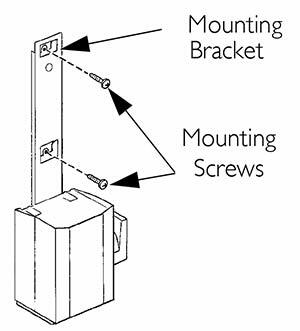 Install the bottom mounting screw until there is an approximate 1/8‐inch gap between the screw head and the wall. 5. Put the battery charger mounting bracket onto the bottom mounting screw. 6. Drill the other two mounting holes. 7. Screw the mounting screws through the battery charger mounting bracket and into the wall. Tighten securely. CAUTION Make sure there is an audible click when mounting battery on the battery charger to confirm proper mounting. Otherwise, injury or damage may occur. 8. Put the battery charger in place on the mounting bracket. 9. Plug the battery charger into an electrical outlet. NOTE: An LED will illuminate when power is applied to battery charger. Press the up button on the hand control. NOTE: If the patient lift is raised to the highest level, it may be necessary to pull down gently on the lift arms before the mast will begin to lower. Pull down gently on both arms at the same time to avoid making the lift unstable. Press the down button on the hand control. 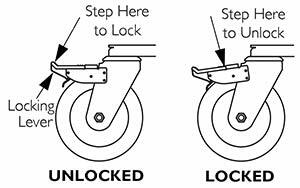 To Close the Legs: Pull the shifter handle OUT and away from the stand‐up lift and then to your LEFT until it LOCKS in the notch of the bracket. NOTE: Left is determined by standing behind the stand‐up lift facing towards the front casters. 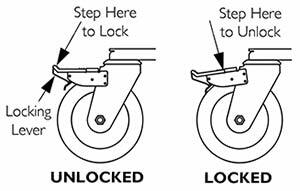 To Open the Legs: Pull the shifter handle OUT and away from the stand‐up lift and then to your RIGHT until it LOCKS in the notch of the bracket. 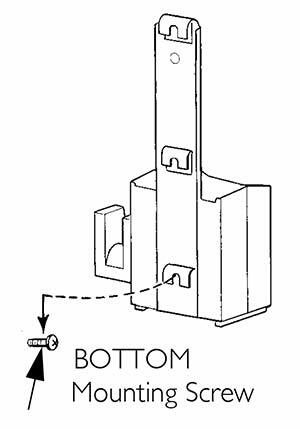 NOTE: Right is determined by standing behind the stand‐up lift facing towards the front casters. Push the RED emergency button in to stop the lift arms from raising or lowering. 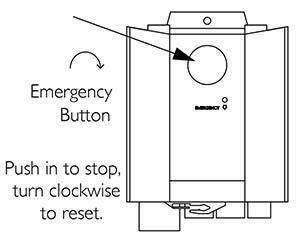 To reset, rotate the emergency button clockwise. NOTE: For this procedure, refer to FIGURE 3.2. 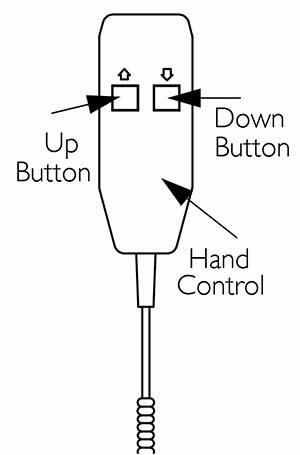 NOTE: This procedure will bring the boom down if the hand control is not functioning properly. To activate the primary emergency release, insert the tip of a pen into the Emergency Down hole in the control box. NOTE: For this procedure, refer to FIGURE 3.3. 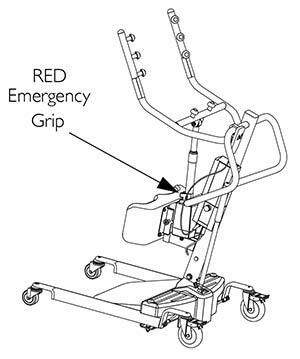 NOTE: All patient lift actuators are equipped with a mechanical emergency release. The mechanical release will enable the actuator to retract without power. NOTE: Use the primary emergency release first before using the secondary emergency release procedure. This procedure should only be used if the primary emergency release procedure is not functioning or is unreachable. NOTE: Before positioning the legs of the patient lift under a bed, make sure that the area is clear of any obstructions. 1. 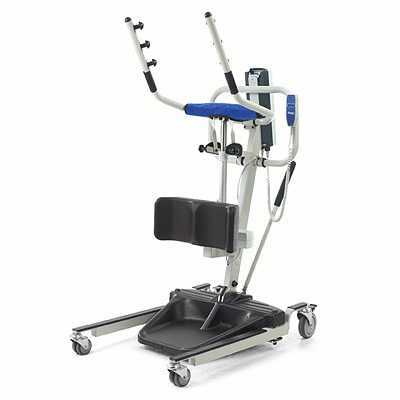 Ensure the legs of the stand up lift are in the maximum open position. If not, use the shifter handle to open the legs. 2. Position the stand up lift using the mast handle. 3. 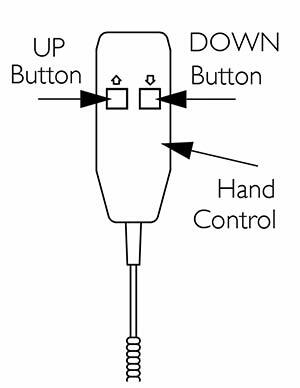 Press the DOWN button on the hand control to lower the lift arms for easy attachment to the sling.